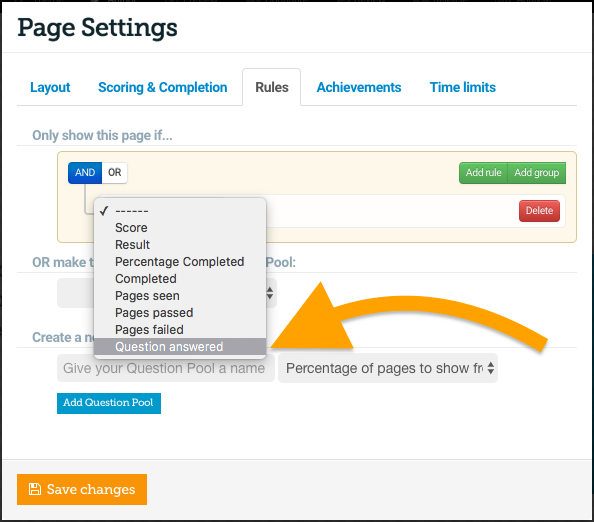 A great use for rules is to have conclusion pages that vary according to whether the user has passed or failed the assessment. Firstly create two new pages, one for if the Learner passes and one for if they fail. This setup will mean this page only shows if the course has been ‘Passed’. 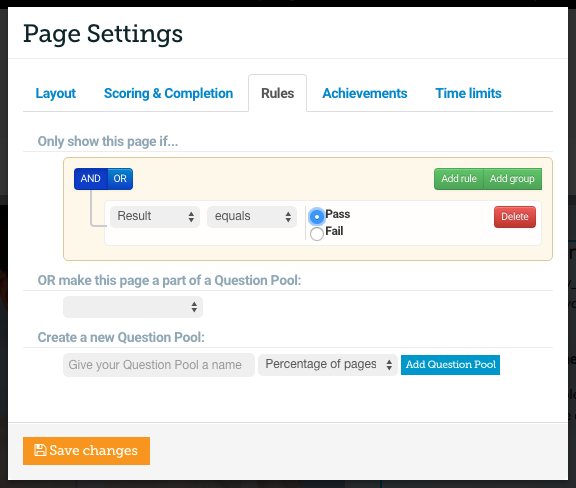 Then do the same on the ‘Fail’ page, but choose ‘Fail’ in the rules menu. 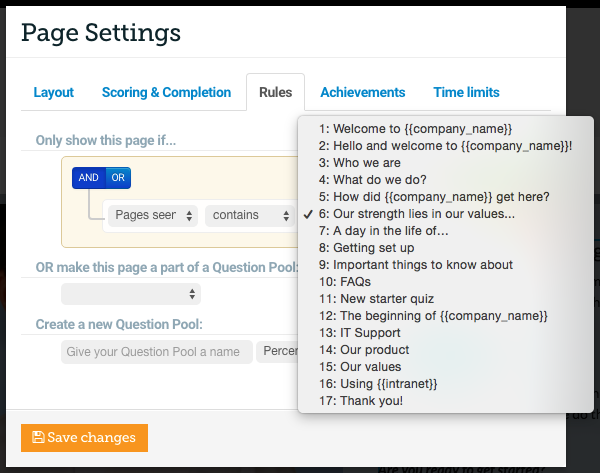 You can set up your rules, so your Learner can only view the final page of your course after the other pages in the course have been viewed. Firstly create the page which you would like to be hidden. In the above example this page will only show if my Learner has already viewed page 6 To see how to build a non-linear course from scratch take a look at this step by step tutorial. 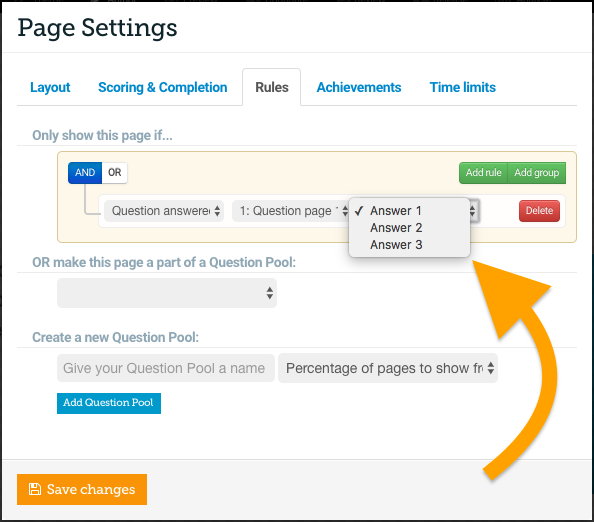 You can set up your rules, so your Learner can only view a page in your course if they have answered a question in a certain way. …on the page which you wish to hide. …in this case I’m going to use a page called ‘Question page 1’. …in this case I’m going to use the answer called ‘Answer 1’. Once you’ve completed setting up your ‘Rule’, press ‘Save changes’. 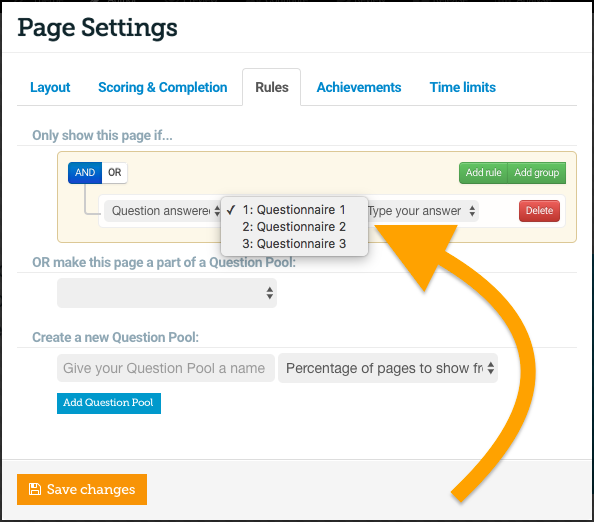 In my example, if I was to ‘Preview’ the course, the page which I have set up my Rule on will only show if I have answered ‘Question page 1’, with ‘Answer 1’.